Many feel we are living in times of crisis, and our civilisation is under threat. (Whose civilisation, by the way?) As is usual with these things, we are not the first people to have this feeling. Many – writers, priests, scholars, politicians – have voiced the same idea, in many different centuries. since recently, a mood of impending doom and the festering decay of civilisation has become general. Clearly, historians are not immune to short-sightedness. Nor do they always know how to separate the important from the less important. One thing Huizinga was bothered by, was aesthetic innovation. Amongst many other things (dadaism! ), he disliked cinema and the radio: for him, they could never be art but merely ‘a cheap mass product’, ‘trivial’, ‘fake’, ‘external’. Those who enjoyed them were the ‘passive’ consumers of the ‘shadow’ of something real. This critique by Huizinga, which in the first instance just uncovers a laughable habit, becomes more serious as he turns it into a political critique. In the 1930s, European political discourse was suffused with the idea ‘don’t think: act’. Even if politics had never been particularly friendly anyway, strive and conquest had now become a sanctioned goal, bare and unexcused, beyond all judgement of good and evil. It was no longer considered the right thing to do, according to Huizinga, to fight against evil: it was now fine to fight against anything and anyone who was different from you – less powerful. War had become the normal state of being. This ideology justified any act of violence, and announced the collapse of the fragile international peace that had reigned in Europe, at least, since the First World War, and the impending wolfing down of all societies by one military superpower. Obviously, Huizinga was thinking in the first place of the German state. [This era] has become susceptible to a degree of nonsense, to which it had been immune for a long time. Although clearly untenable, Huizinga explains, because these scientists assumed people to be completely determined by their birth and failed to take into account the influence of culture, racial theories nevertheless had an enormous popular appeal to Huizinga’s contemporaries, as he notices with disdain. Jews and Germans are [both] exceptionally gifted in philosophy and in music […] This must be deemed to point to the strongly similar nature of the semitic and the germanic races. And so on, according to taste. The example is ridiculous, but not any sillier than the conclusions which are nowadays commonplace in wide circles of educated people. To most of us nowadays all of this looks pretty obvious, but in the 1930s, reasoned racism was the order of the day (practical racism still is, of course). And, though even Huizinga did not completely escape racial thinking in his work, the following probably constituted the most important contribution he wanted to make with this book. For he writes that even if someone ‘instinctively’ feels that certain people are different or less than they, it is their duty as ‘civilised human being’ to suppress this ‘animal-like’ thought. So quite the opposite from nurturing it with science and scholarship. The cultural crisis of the 1930s had to be averted by controlling these less-benign aspects of our nature. This was what ‘culture’ or ‘civilisation’ was all about: control. 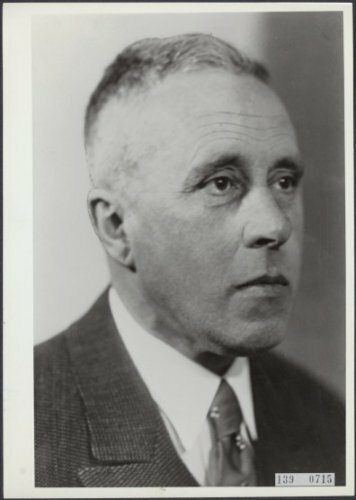 And Huizinga certainly accepted the consequences of his ideas, by clearly voicing his antifascist opinion in publications and university politics. For Huizinga, going to the movies, racist science, and a score of other things that were completely different again, such as the supposed collapse of sexual morality, were all symptoms of the same cultural crisis. Perhaps we should be a little more discerning than Huizinga was in this matter, but equally brave. Quotes are from pp. 1-2, 48-9, 57-9 and 68-79 of the Dutch edition (1963 reprint). Translations are mine.